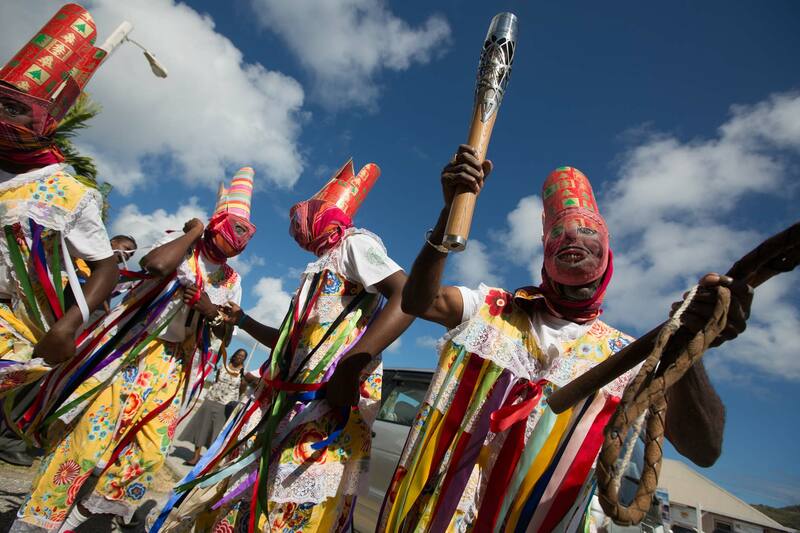 Performance by the Emerald Shamioles Masquerades cultural dance band to welcome the Queen's Baton, in Montserrat, on Tuesday 25 March 2014. Montserrat is nation 50 of 70 Commonwealth nations and territories to be visited by the Queen's Baton. Photograph by Jeremy Sutton-Hibbert, copyright © Glasgow 2014 Ltd, 2014.